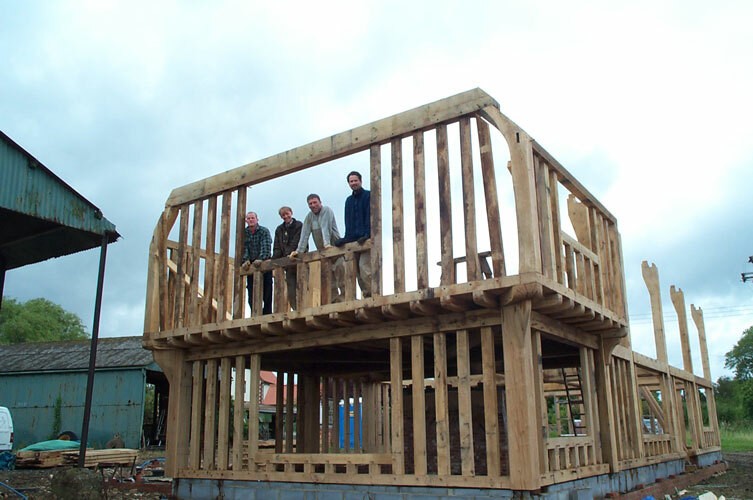 At the end of 2001 we started framing this large jettied Suffolk style house. 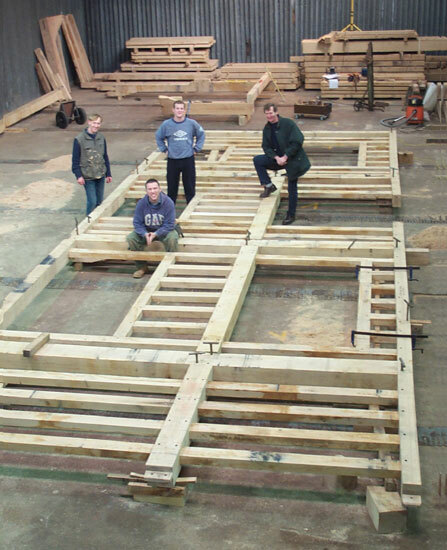 We were still working off the floor at this time, a very traditional method! 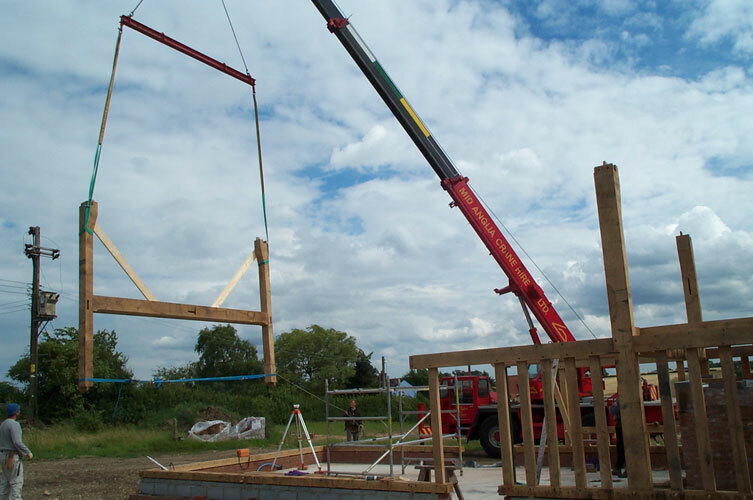 Most notably one bay of the frame is jettied on three sides; this requires a large pair of angle posts for the ground floor walls and two diagonal dragon beams in the floor framing. 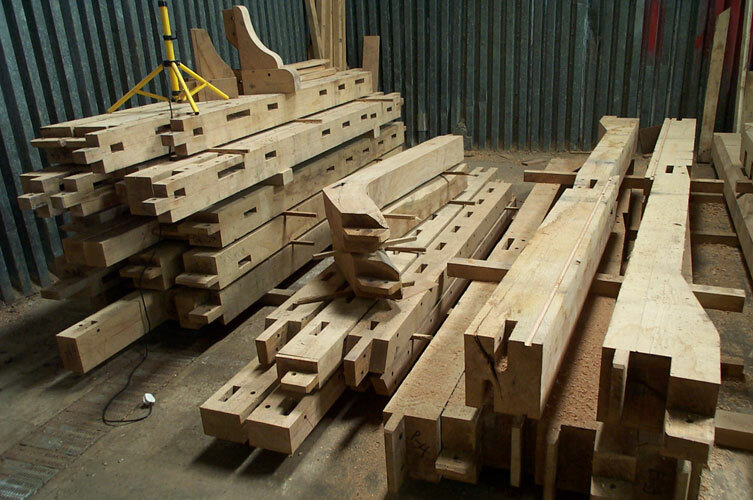 The angle posts were specially selected and then hewn into shape. 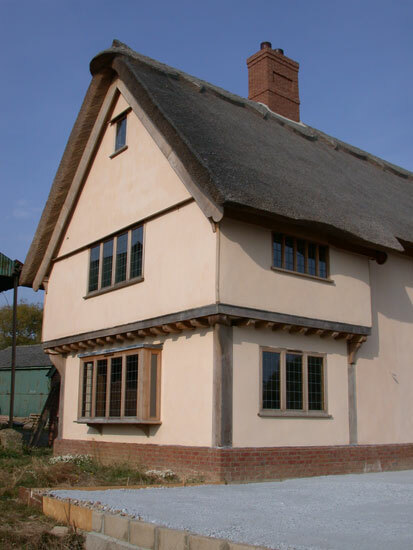 The frame also has a pair of base crucks on one gable; a tradition noted in the immediate area. We were fortunate to have the assistance of Dan Addey-Jibb from Montreal for this project.